Comes standard with 2 Small Wood Knobs. 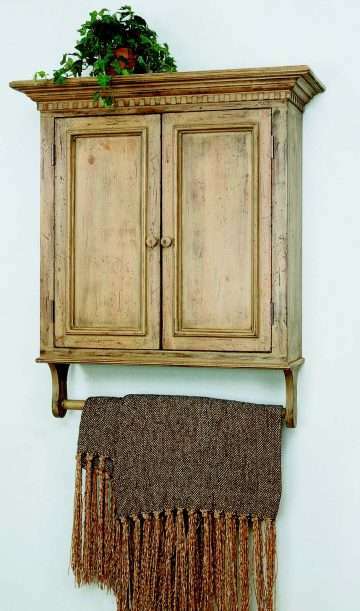 Features dentil moulding detailing, hidden storage with 2 adjustable shelves and 1 towel bar that is 23 L. Comes with 2 metal hangers on back for hanging on wall. Ships in 2 corrugated cartons: Cabinet (29 lbs by common carrier, 72 lbs dimensional weight by UPS) and adjustable shelves (6 lbs).